The Northwest Florida Beaches New International Airport (ECP) has replaced the PFN airport and is located in West Bay, near Panama City. HNTB architecture was the prime and A+F the structural consultant for the scope below: The 15,000 GSF public safety building, the 125,000 GSF terminal and concourse buildings foundations, the taxi queuing facility and the 3,500 GSF utility building. All buildings were designed for hurricane category 3 resistance. The project was completed in May of 2010 and has achieved LEED Silver. 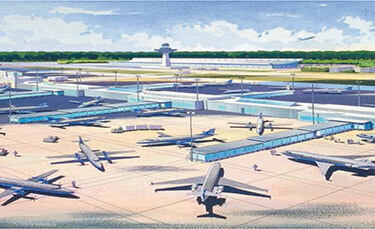 A Midfield Terminal designed to expand to an ultimate 44 Gates. Designed to accommodate future expansion and future underground APM train stations. Designed as an architecturally exposed structurally steel moment frame with custom configured trusses and pipe cluster columns. 120’ tall Ramp Control Tower. 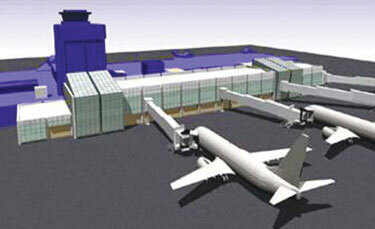 ■ Phase I – 12 Gates – 320,000 sq.ft. 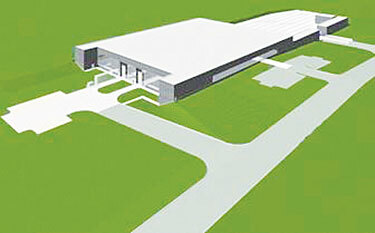 ■ 12 Gates West Expansion, 520,000 sq.ft. Project completed in 2009. 72,500 Sq.Ft. 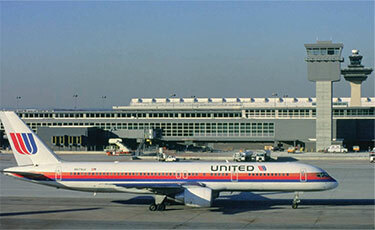 Design/built 12 Gates accommodating 36 regional jets. 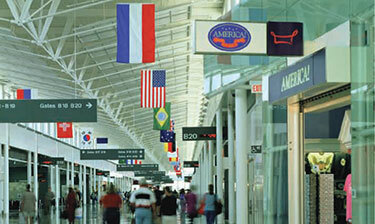 The Concourse A is linked to the Concourse B by an enclosed pedestrian bridge. 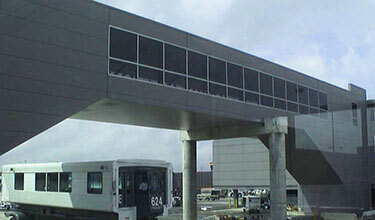 Walkway canopies provide covered connection of the holdrooms to the aircraft parking. Two and a half stories underground stations for the connection of the Concourse B to the APM train system. 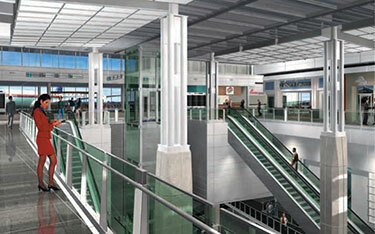 One East and one West stations were designed at 1/4 point location of the Concourse B. Stations include platforms with provisions for the special train enclosure, mechanical rooms for the tunnel ventilation systems. 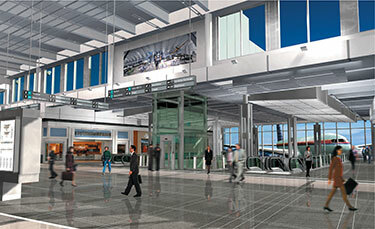 Escalators and elevators connect the station platform and the mezzanines to the Main level of the Concourse B. A two levels, 42,000 sq. 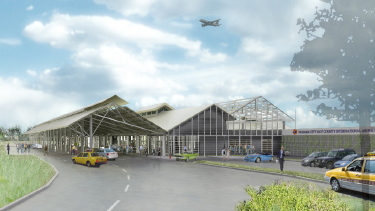 ft. 4 Gates terminal expansion, and existing terminal renovation. The structure includes moment and exposed structural steel frames. One story maintenance facility for the new APM train of the airport. The structural design includes long span joists and trusses as well as elevated platforms for easy vehicle maintenance, a total area of 200,000 sq.ft. Project completed in 2006.